Identification and functional characterization of plant pathogen effectors promise to ameliorate future research and develop effective and sustainable strategies for controlling or containing crop diseases. Wheat is the second most important food crop of the world after rice. Rust pathogens, one of the major biotic stresses in wheat production, are capable of threatening the world food security. Understanding the molecular basis of plant–pathogen interactions is essential for devising novel strategies for resistance breeding and disease management. Now, it has been established that effectors, the proteins secreted by pathogens, play a key role in plant–pathogen interactions. Therefore, effector biology has emerged as one of the most important research fields in plant biology. Recent advances in genomics and bioinformatics have allowed identification of a large repertoire of candidate effectors, while the evolving high-throughput tools have continued to assist in their functional characterization. The repertoires of effectors have become an important resource for better understanding of effector biology of pathosystems and resistance breeding of crop plants. In recent years, a significant progress has been made in the field of rust effector biology. 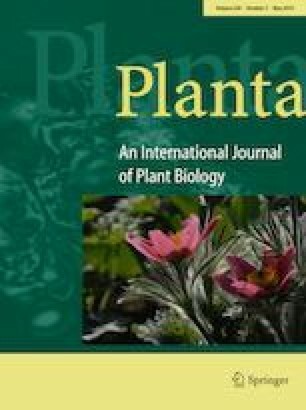 This review describes the recent advances in effector biology of obligate fungal pathogens, identification and functional analysis of wheat rust pathogens effectors and the potential applications of effectors in molecular plant biology and rust resistance breeding in wheat. Pramod Prasad and Siddanna Savadi contributed equally to this work.